March started really crappy. I was still stuck downstairs due to my stairlift being broken and I was really upset by how ThyssenKrupp has messed me about, a lot. How they thought it was okay for me to be stuck downstairs in our living room for over a month not being able to have a proper wash is beyond me. However, it wasn't all bad - I was back blogging and loving it with tons of motivation and I went for a blood test and my results came back with much better results than what I have been having. Also, I was on track with my therapy sessions and they were really helping me keep my anxiety, panic attacks and worries down for the first time in years and I was so grateful for my therapist for being so patient with me these past two years. The middle of March turned out to be a little bit mixed too. You may have seen on my twitter already that in the middle of the month I had to go for a CT scan and I was so scared and anxious about it, the drink I had to drink before the scan made everything turn upstair down and I had a terrible reaction to it - I was vomiting for hours and my lips swelled up and I looked like I'd had some sort of botox gone wrong! But thankfully after nearly a week of waiting to hear my results, my amazing nurse got in touch and told me that I am completely cancer free! After a tough few weeks sleeping downstairs and having a bad reaction during the tests, you have no clue how much hearing those wonderful words meant to me. I am cancer free. March ended great. I found out I need to have a blood transfusion but after going through chemotherapy and radiation, I would rather that than have to go through all of them again. I'll be having my blood transfusion on the morning of Friday 5th April 2019 so please wish me all the luck and positive vibes that you can for it? Otherwise, I'm just looking forward to all of the things that are already planned for this spring and summer time, and enjoying my life to the maximum! Wishing you all the luck for the blood transfusion! Sending you lots and lots of love and hugs gorgeous. 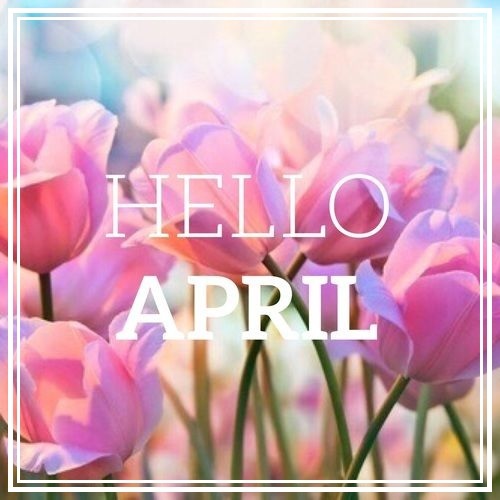 Wishing you luck for April lovely!